In today’s Straits Time Saturday special report, the headline “In Food We Trust” sprang up on me and caught my attention immediately. As quoted in the report, the reporters tracked down on “eight most enduring restaurants, which not just prevailed but prospered” in Singapore. And there in the report was one of the restaurants that I have visited during Father’s Day – Shashlik. 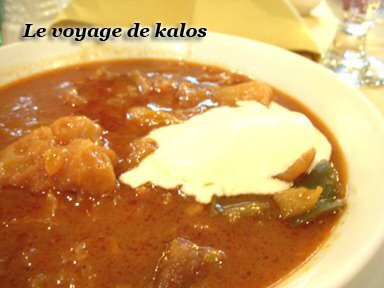 The restaurant is name after a Russian Staple, shashlik, or a skewered meat, which is one of the restaurant’s signature dishes along with Borscht, a vegetable soup with a hint of beef in it. Although the soup was delicious, I felt it was too cold for my liking, although this is how some are served over in Russia. For my main, I opted for the Tournedos Rossini, named after a great composer, Giacchino Rossini, instead of the Shashlik, as my last visit told me it was too dry for my liking. 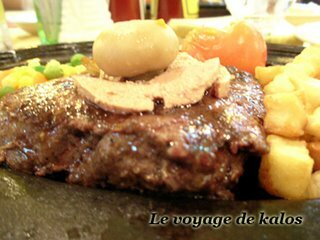 The beef came with a hint of foie gras, or French goose liver on the top. However, I was disappointed with the main despite the combination of two very delicious ingredients. The “medium-rare” beef came out medium or even medium well as it was served on a hot plate. This often frustrate me as I find that not many restaurants in Singapore, despite paying top dollars, can served medium-rare beef the way I want it. Also, The rainbow trout that my sis-in law ordered has only one word to describe it - BAD! It was dry and simply tasteless. Also since it was Father’s Day, I presumed that the “Ah Kor” or silvered hair Hainanese waiters – known for their excellent service - was out celebrating the big day. Only one was present that day, and the lady that was assigned to serve us probably felt very unwilling. She was loud and rude, but since it was my dad’s day, we decided not to spoil our mood thinking about it. Although I had a very high opinion initially about this place, this visit definitely proved me wrong. And as the report from Straits Time said it, Singaporeans probably still visit this place due to this very reason: nostalgia.